Today 23 of September, 2013, Prime Minister of Islamic Republic of Pakistan, Nawaz Sharif has announced a development package worth RS. 20-Billion, truly for the youth of Pakistan. There are six projects under this youth development package. These six projects include Micro Interest Free Loans Scheme, Small Business Loans Scheme, Youth Training Scheme, Youth Skill Development Scheme, Fee Assistance Scheme and PM’s Scheme for Laptops Provision, said Nawaz Sharif in his televised address to the youth. 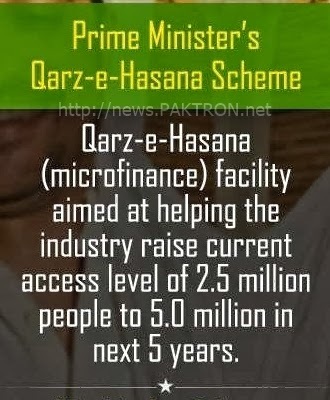 Qarz-e-Hasana Scheme: Qarz-e-Hasana (micro finance) facility aimed at helping the industry raised current access level of 2.5 million people to 5.0 million in next five years. 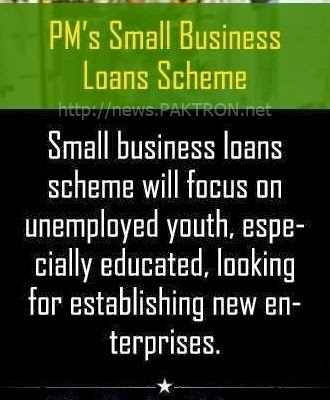 Small Business Loans Scheme: This scheme will focus on unemployed youth, especially educated, looking for establishing new enterprises. Youth Training Scheme: This scheme aimed at training the educated youth of Pakistan through internship in private and public sector offices. Youth Skill Development Scheme: Aimed at training unemployed youth of Pakistan for acquiring productive skills for gainful employment. Laptop Scheme: This scheme is aimed at spreading the use of computers among the college / university students. Reimbursement of fee of students from the less developed areas: Aimed at encouraging pursuit of higher education by students from less developed areas through financing of their tuition fees paid directly to universities. To ensure more transparency, clarity and merit in these schemes, it is PM’s desire to seek guidance from general public. He said input on these schemes could be given at the website, www.pmo.gov.pk, being uploaded on September 23. A special mobile number ‘80028’ had also been dedicated for this purpose to which suggestions could be sent through SMS. He said the details of these schemes would also be circulated through national media including newspapers and television channels as well. Images and other sources: CM Shahbaz Sharif social media page. 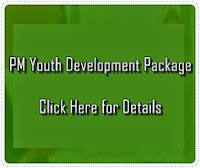 Keep visiting this site for latest updates on PM Youth Development Package.